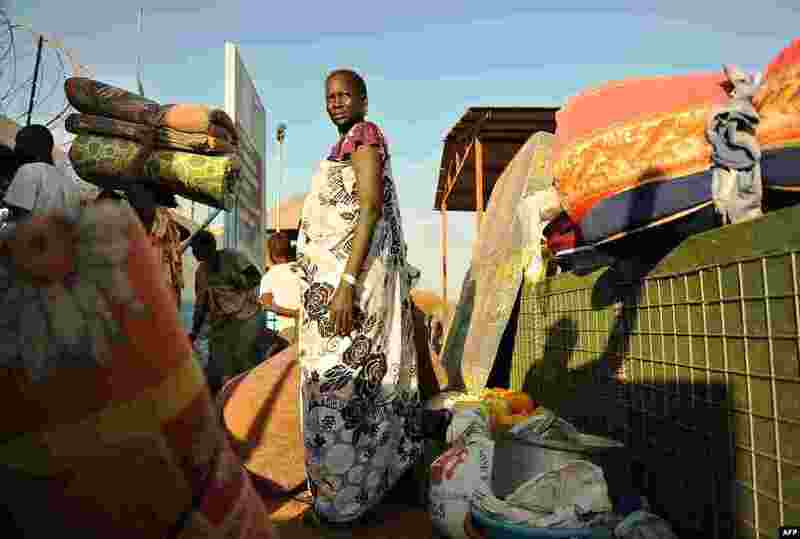 ١ Residents of Juba seek shelter at a U.N. compound. African diplomats made a push for peace in South Sudan on Friday as bitter fighting spread across the world's youngest nation. 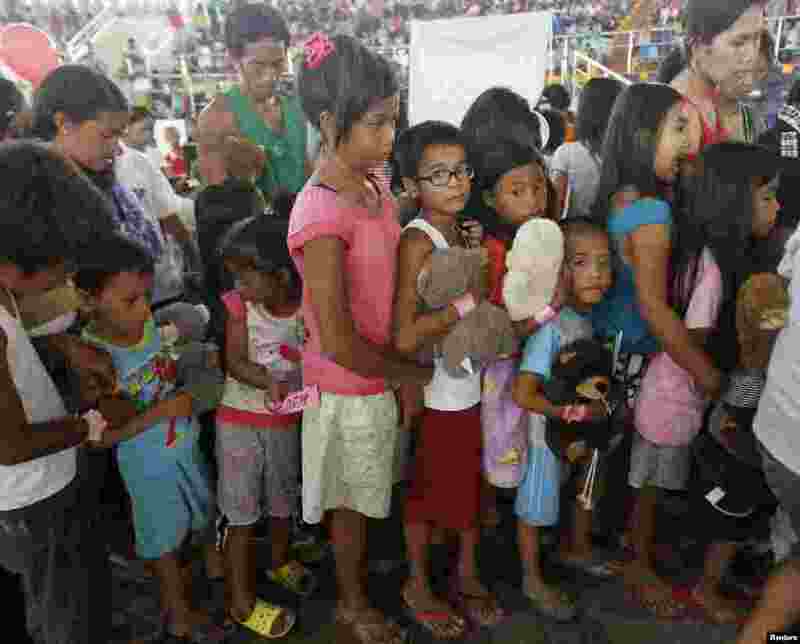 ٢ Survivors of Typhoon Haiyan line up during a gift-giving program inside an astrodome at Tacloban city, central Philippines. 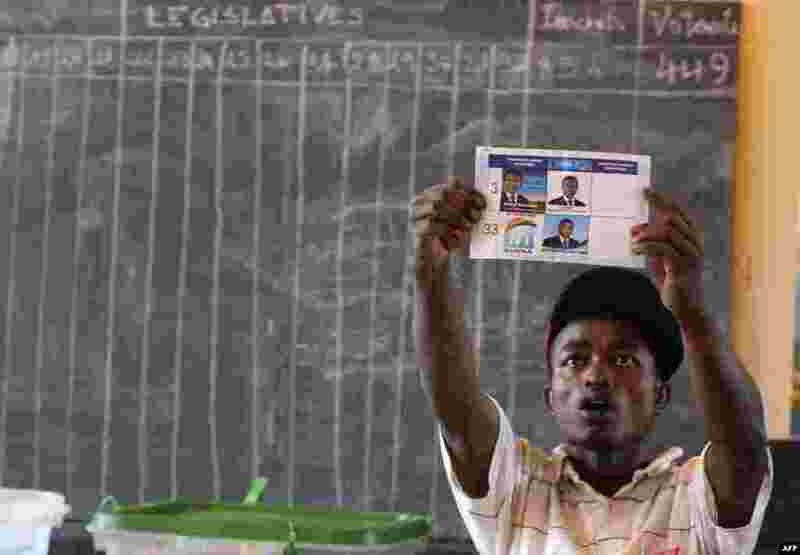 ٣ An electoral agent holds up a ballot as votes are counted at a polling station in Antananarivo, as the people of Madagascar elect a new president in a run-off vote aimed at ending a political and economic crisis sparked by a coup four years ago. 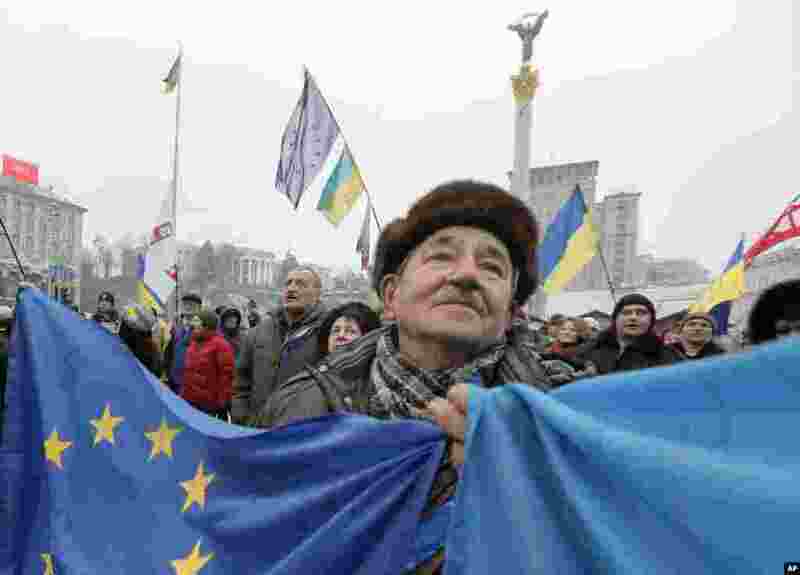 ٤ A pro-European Union activist with Ukrainian and the European Union flags stands with others in Independence Square in Kyiv, Ukraine.